Kate Middleton Refuses To Support Gay Rights Campaign: Prince William Forbids Duchess of Cambridge From Sharing Opinions? Kate Middleton refused to support a gay-rights campaign started by Oscar hopeful Benedict Cumberbatch because The Duchess of Cambridge isn’t allowed opinions. Prince William has made it clear to his submissive wife that she is not to voice any opinions at all other than how much she loves being a mother. Of course Kate Middleton knew exactly what she was buying into when she married the future King of England so this is her own fault. Benedict Cumberbatch was hoping to gain support from Prince William and Kate Middleton for a gay-rights campaign but was sorely rejected. Benedict Cumberbatch stars in The Imitation Game about World War 2 codebreaker Alan Turing, who was prosecuted for being gay until he was given a posthumous pardon in 2013. Because there are 49,000 other men convicted under the same dated law, Benedict Cumberbatch took it upon himself to start a petition on their behalf, to receive the same pardon Turing was granted. His work has paid off. After writing an open letter about the situation, he’s gained approximately 90,000 supporters already. Though he’s gained so many supporters, two very prominent signatures will be missing from that petition. Cumberbatch reached out to The Duke and Duchess of Cambridge to help support the campaign, but was rejected. The Duke and Duchess of Cambridge released a statement through a spokesperson claiming “it is a matter for government,” so Prince William and Duchess Middleton were not able to make a comment on the subject. Funny that never stops bumbling Prince Charles from attempting to influence government. Cumberbatch’s plea to the government read, “The UK’s homophobic laws made the lives of generations of gay and bisexual men intolerable. It is up to young leaders of today including the Duke and Duchess of Cambridge to acknowledge this mark on our history and not allow it to stand. We call upon Her Majesty’s Government to begin a discussion about the possibility of a pardoning all the men, alive or deceased, who like Alan Turing, were convicted.” Despite his efforts, Prince William and Duchess Kate will not be supporting the gay-rights campaign. 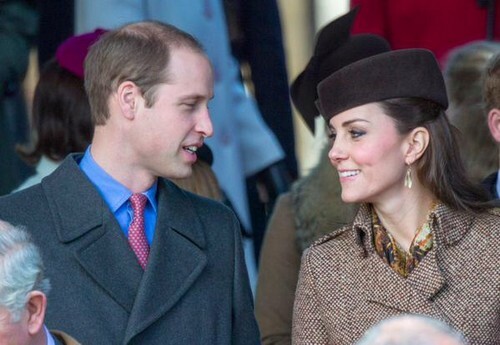 Do you agree with Prince William and Kate Middleton for staying out of it? Should they have given a better statement as to why they are not supporting the campaign? Weigh in below! Kate Middleton and Queen Elizabeth Demand Prince William Join Family Vacation In Mustique: Afraid of More Royal Cheating? Kate Middleton Upset on Mustique: Prince William Prefers Partying With Prince Harry In London, Bored On Middleton Family Vacaton?